Every Friday, a few of my friends participate in Lisa-Jo Baker’s writing challenge calledFive Minute Fridays! Each Friday, Lisa Jo posts a topic and writers spend 5 minutes writing on the topic and link up throughout the week to share their writings. She refers to it as a kind of writing flash mob. I have tried to join in the writing fun at Lisa-Jo Baker’s blog a few times. But, I express my words better with pen and paper, literally pen… and paper. 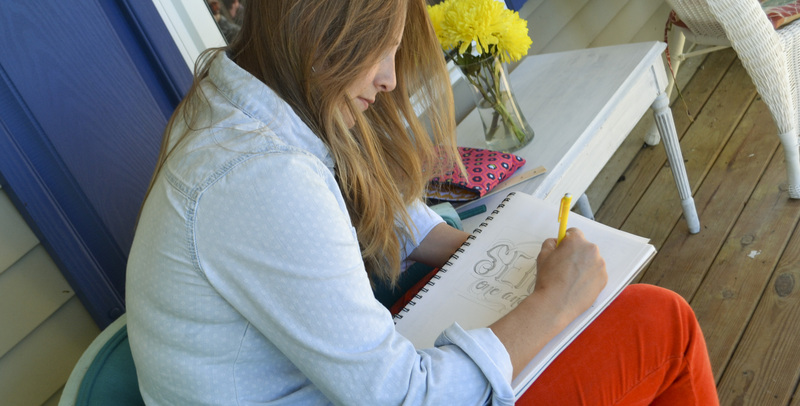 I think it could be so great to join up with other artisan types to try a 15 Minute Drawing Challenge. Yes, today I have been inspired. I am borrowing from Lisa-Jo’s genius and adding a twist to the AWESOMENESS by hosting a 15 minute drawing challenge on Friday’s. 2. NO PENCILS – please use a permanent form of medium, it’s a challenge, right? My goal is not to compare and snub noses on our art. The idea is to create a place for art to be cultivated! Let’s encourage one another in the gifting and talents God has uniquely given each artist and support each other’s craft and talents for the glory of God! I am so excited to see how this works! It may take a few weeks to catch on, but I am determined to motivate the masses of artist out there who love Jesus but feel stuck in sharing their craft/skills with the world! I look forward to joining in this weekly! Leave a comment if you plan to participate! I would love your feedback! 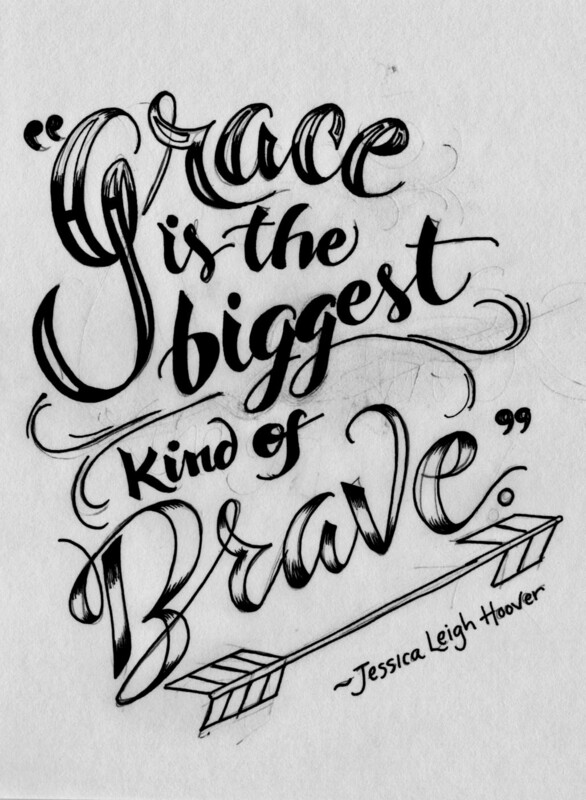 Also, want a free gift…Take a second and hop over here to download the final draft of this sketch for my friend Jessica’s quote on being brave! Yeah! It will be fun! Love this idea. Looking forward to try this challenge out!! Great Sharon, I usually post right after midnight on Thursday/Friday, but sometimes it’s actually Friday during the day! Hope you link up this week!